Your Central Alberta First Aid & Safety Training Provider! Learn First Aid Today Save a Life Tomorrow. New Year New Prices!!! With courses starting at as little as $40. 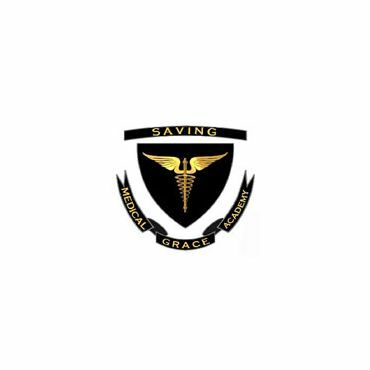 Saving Grace Medial Academy strives to be the leader in Safety Training through in depth instruction and services guided by experience. Our relaxed and professional instructors help create a fun and knowledgeable setting that keeps everyone smiling through out the day helping our students gain confidence in the skills they learn. As registered training partners of the Canadian Red Cross & The Alberta Heart & Stroke Foundation we are Proud to offer: Heart & Stroke Foundation Standard First Aid CPR & AED & Basic Life Support Provider CPR-C HCP Basic Life Support Provider or BLS for HCP's CPR & AED BCLS "Basic Cardiovascular Life Support" ACLS - Advanced Cardiovascular Life Support Canadian Red Cross Blended Standard First Aid CPR & AED "Online First Aid" Emergency First Aid -C Course Break Down's: ALBERTA HEART & STROKE FOUNDATION Basic Life Support BLS for Health Care Provider CPR+AED Level C or (Re-Certification) Advanced Cardiovascular Life Support "ACLS" Our Standard First Aid & Basic Life Support Provider CPR-C + AED "Health Care Provider level" First Aid Courses taught through the Heart & Stroke Foundation. New Students and Re-Certifications are always welcome and we will do our best to accommodate everyone! This Occupational Health and Safety Certified First Aid Course follows the highest standard for a growing Health Care Professional work force in Alberta. Online first Aid or Blended First Aid Level C CPR + AED Courses taught through the Canadian Red Cross. This course fits any schedule with an online theory lecture and one day in class skills and testing. New Students and Re-certifications are always welcome and we will do our best to accommodate everyone! Blended Learning is available for Standard First Aid, Emergency First Aid, and CPR + AED courses. Emergency First Aid Level C CPR + AED First Aid Courses taught through the Canadian Red Cross. This one day First Aid course offers a diverse option to the work force and is accepted by many companies for their in house staff and is even accepted by the Alberta College of Pharmacists. Basic Life Support for Health Care Provider Level C CPR + AED Courses are taught through the respected Heart & Stroke Foundation of Canada. This is the course that Nurses, Paramedics, Doctors, Dentists, Pharmacists and Massage Therapists can use for their continual Re-Certification. Our BLS - HCP First Aid Course helps all Health Care Professionals see the benefit of standardized training in the work force and helps hone the basic skills of CPR. 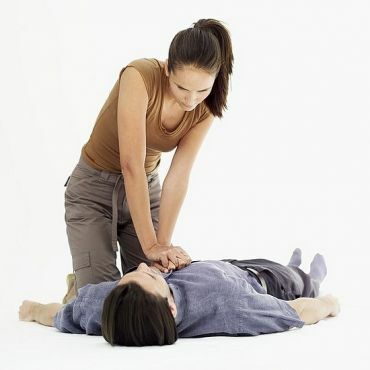 First Aid training courses made simple, fast, easy and affordable for everyone. We provide First Aid courses for Rig Workers, Doctors, Fire Fighters and City Employees. These First Aid Courses are beneficial to everyone from any workforce and are recognized by Occupational Health and Safety as well as our Regional Alberta Health Services. A NO minimum student ratio, What does this mean? We will teach our First Aid Courses, Safety Courses and Pre-Emergency Medical classes no matter how many people show up. We will NEVER cancel a class because of low intake! New equipment that is kept to the highest standard to match our new facility located at the recently constructed QUAD Building, this allows us to teach our First Aid Courses in Edmonton with a comfortable setting equipped with new comfortable chairs, new mats, new mannequins and desks! An Age appropriate class setting that allows us to provide First Aid Courses in Edmonton not just to adults but also for the younger generation, Kids, Girl/Boy Scouts and Children from the age of 8 and up. As parents this Scheduled Course offers an amazing opportunity to give our children the knowledge on what they can do to help in emergency situations. Parents with Children will receive a Family Discount and can take the course together to optimize the learning benefit of First Aid to any child. We look forward to hearing from you!!! Excellent teacher, very well demonstrated and good to follow along. Course was set up great.